Laura J. Oliger, 59, of East Hampton, surrounded by her family, passed on peacefully Tuesday January 22, 2019 after a courageous battle with cancer at her home with her boyfriend, Randy by her side both of whom she loved very much to the end. Born on April 16, 1959 in Middletown, CT, she was the daughter of the late Wallace R. Hall Sr. and Kathleen (Goff) Hall. Prior to her illness, Laura worked at B & L Diner (everyone enjoyed her presence), American Distilling, and later went on to become a health aide caregiver. Laura was a loving aunt and friend, and her brave spirit and determination will be deeply missed, but not forgotten. Laura is survived by her longtime companion, friend and caregiver, Randy Desjarlais, his son, Shane, and his granddaughter, Faythe, Jean Desjarlais (Randy’s mother), close friend and support, her daughter, Brandy Christopher and son, Don Oliger both of Virgina; her brothers, Wallace R. Hall Jr, Timothy Hall, Michael Hall, Lenny Hall and Mark Hall; sisters, Carol Hines, Doreen Mosher, Colleen Pratt, Vickie DeMerchant and Charlene Hall; granddaughters, Alice and Emma and many nieces and nephews. The family would like to thank the Middlesex Hospice Group. Funeral services will be private and at the convenience of the family. 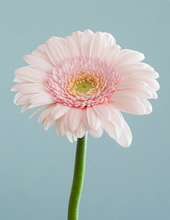 In lieu of flowers, donations may be made to the East Hampton Food Bank 43 W. High St East Hampton, CT. 06424. To send flowers or a remembrance gift to the family of Laura J. Oliger, please visit our Tribute Store. "Email Address" would like to share the life celebration of Laura J. Oliger. Click on the "link" to go to share a favorite memory or leave a condolence message for the family.